until the restrictions were lifted in the early 1950's. 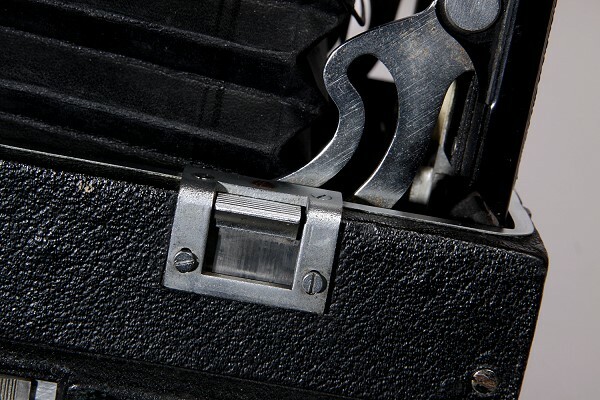 based on German camera designs from the leading manufacturers, Leica, Linhof & Rollei. of Photography and advertised by MPP themselves. 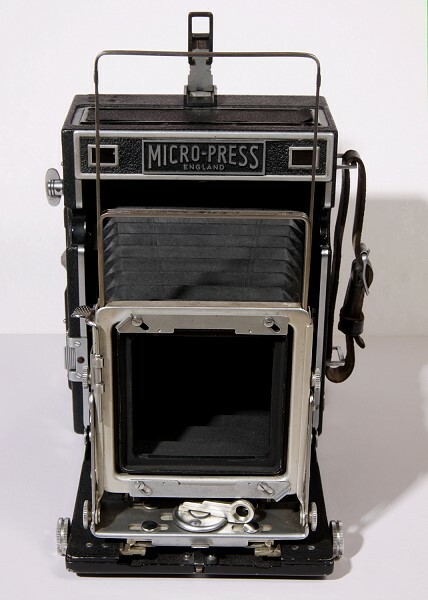 a different MicroPress appeared which had nothing in common with the Micro Technical. 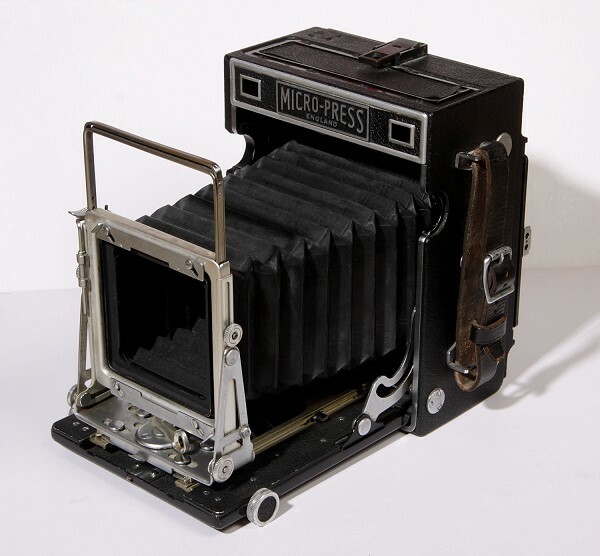 photographic retailer, indicates just how scarce new cameras were in Great Britain at that time. Pacemaker parts housed in a slightly taller wooden body. 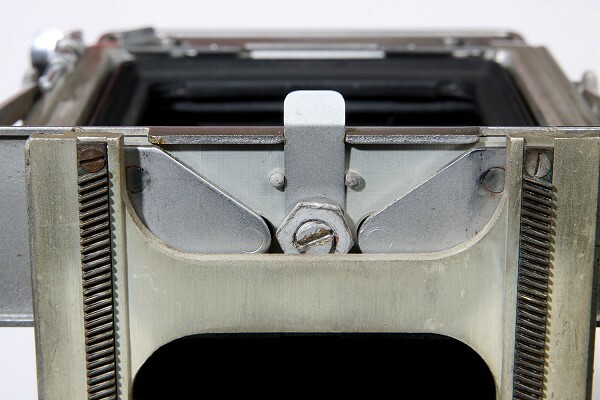 made there or by Graflex in the US. 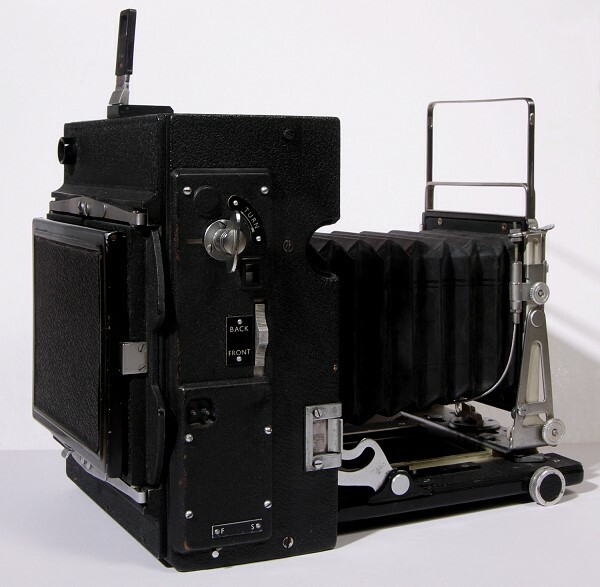 before Graflex in the US, and with a longer base it would have been more accurate. which hide access to the inner rail track fittings. 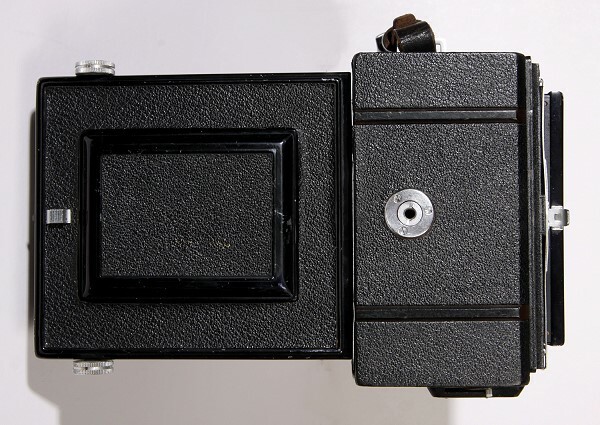 The shutter release which will operate both the focal plane and lens shutters. 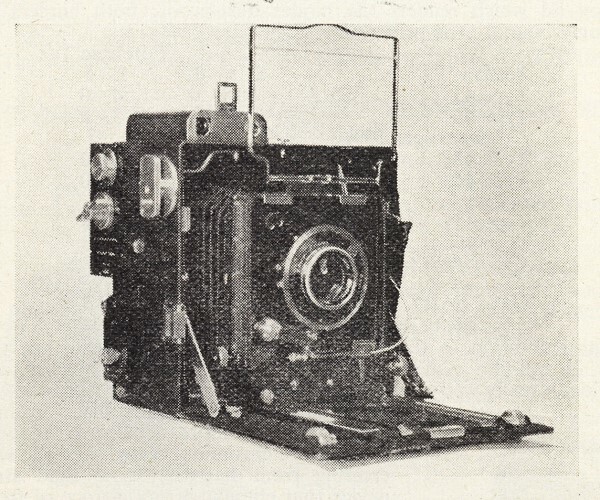 camera design. There must have been financial advantages for both companies. Iloca, rebadging their 35mm cameras in the UK and US markets in the mid 1950's. The link between the two companies is an enigma but the camera shows it clearly existed. Many thanks to Matt Bigwood for loaning me the MicroPress for examination.